I spent the better part of Thursday in and around Galena, the Stone County seat. I was a bit surprised to find some construction going on around the town. I won’t mention what, I’ll only say it looks very interesting as spring is just around the corner and I’m sure they want some visitors. You need to head down by the river and check out what some of the folks are doing there. I took a good amount of photos and intend to start galleries for most every town down stream from Springfield. In the future you will be able to visit every local access point on the river and see what it has to offer. Making your “James River Float Trips” much easier to plan. You can find more vintage photos in the Galena Library. 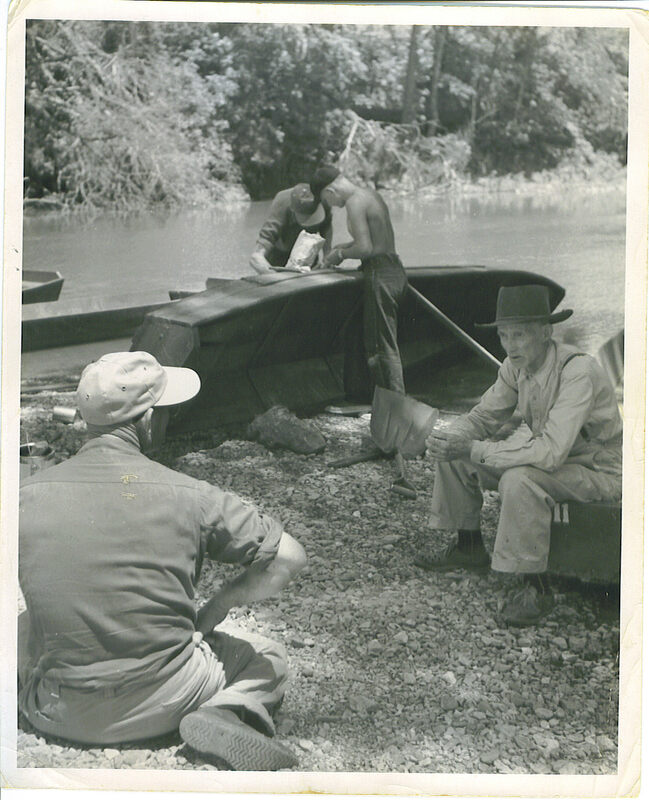 This photo by Hall Photo Co. shows gig fishing on the James. Probably circa 1940's! 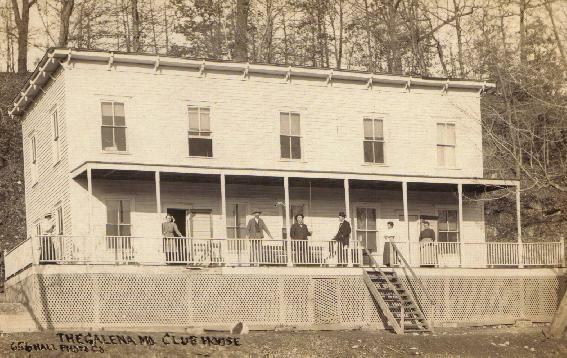 Hall Photo Co. from Galena captured this shot of the Galena Clubhouse. The fish camp is much the same today. 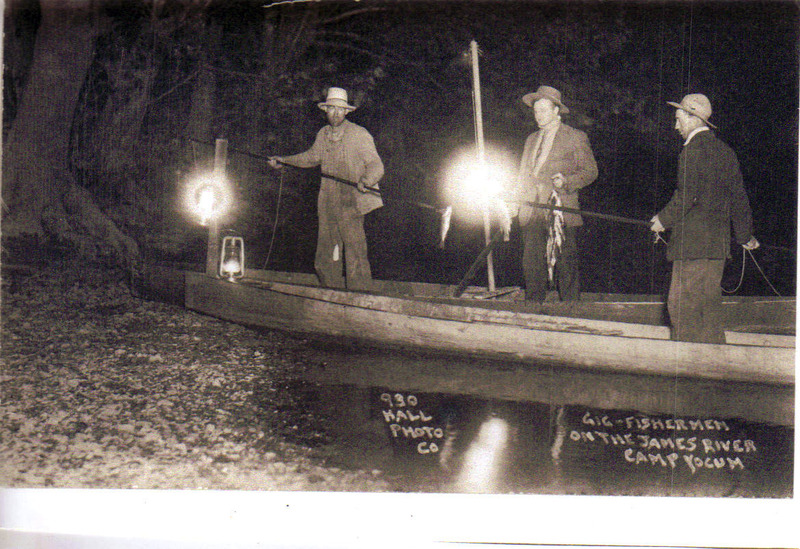 With outfitters located right in Galena you can be sure to have a great time now, just like these guys did back then. 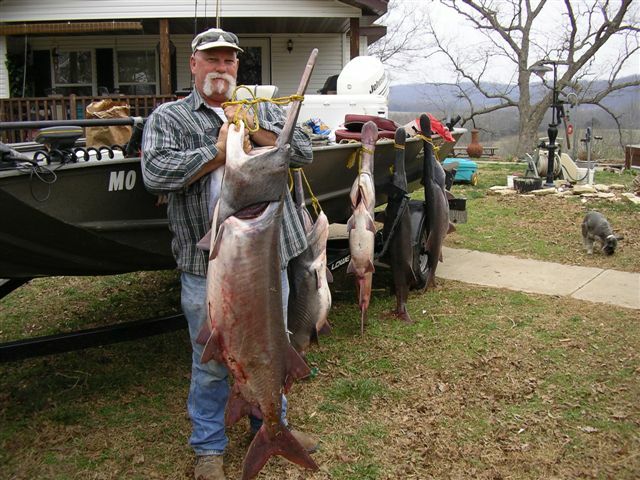 Spoonbill season is fast approaching, this is part of the Galena heritage. For more shots visit the Galena Gallery. Photos shown above are from Galena Chamber of Commerce.